The Annual Fund is at the core of the day-to-day Cape Henry Collegiate experience. This philanthropic partnership between the School and the community provides the resources that enrich the educational opportunities for Cape Henry Collegiate students. 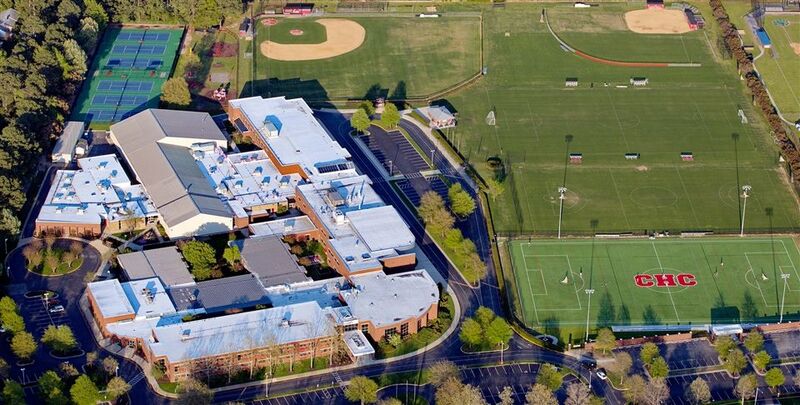 Everything that makes Cape Henry Collegiate special–exceptional faculty, first-rate academic curriculum, state-of-the-art technology, superior arts and athletics, and a growing financial aid program–are supported by yearly contributions to the Annual Fund. Mr. and Mrs. Ben R. Wiley, Jr.
E. L. Creech & Co., Inc.
Mr. and Mrs. George F. Shipp, Sr.
Mr. and Mrs. Henry L. Thompson, Sr.
Mr. and Mrs. L. Clay Camp, Jr.
Carrie S. Camp Foundation, Inc.
Mr. and Mrs. William Russell Payne, Jr.
Drs. Gail and John Walter, Jr.
Mr. and Mrs. Nicholas C. Wright, Jr.
Mr. and Mrs. Sammie L. Logan, Jr.
CAPT and Mrs. Dale A. Meyer, Jr.
Mr. and Mrs. Richard E. Olivieri, Jr. The Virginia Wealth Management Group, Inc.
Mr. and Mrs. Louis S. Waldrop, Sr.
Mr. and Mrs. D. Pierre G. Cameron, Jr.
Mr. and Mrs. C. Cheyney Cole, Jr.
Mr. and Mrs. Cecil V. Cutchins, Jr.
E. Thompson Witte, D.D.S. M.S. Mr. and Mrs. Peter B. Easton, Jr.
Mr. and Mrs. Michael L. Field, Jr.
Mr. and Mrs. Thomas R. Frantz, Sr.
Mr. and Mrs. Michael D. Gargiulo, Sr.
Mr. and Mrs. David Hackbirth, Jr.
Mr. and Mrs. Robert R. Hagans, Jr.
Mr. and Mrs. John Hoye, Jr.
Mr. and Mrs. Bruno V. Manno, Jr.
Mr. and Mrs. J. Perry McGee, Jr.
Mr. Horace P. McNeal, Jr.
Mr. and Mrs. John Moore, Sr.
Mrs. Lesley L. and Mr. J. Vincent O'Brien, Jr.
Mr. and Mrs. Edward O'Brien, Jr.
Mr. and Mrs. Bernard A. Pence, Jr.
Mr. G. Brock Potter, Jr.
Ms. Cindy R. Dixon and Mr. Michael J. Romaniw Jr.
Mr. and Mrs. Wayne C. Sawyer, Sr.
Mr. and Mrs. William J. Scullion, Jr.
Mr. and Mrs. Edward Sheppard, Jr.
Mr. and Mrs. Steven R. Sims, Sr.
Mr. and Mrs. Henry L. Thompson, Jr.
Mr. and Mrs. Robert V. Timms, Jr.
Dr. and Mrs. Harry T. Williams, Jr.
Mr. L. David Willis, Jr.
Mr. and Mrs. Robert Woodhouse, Jr.